Bikes like these rarely appeal to the heart. They’re too plain and unexciting for that. But, by being ultra-cheap to run, brisk and efficient across town and a doddle to ride, they certainly appeal to the head as being among the most economical, yet quickest, of all kinds of commuter. 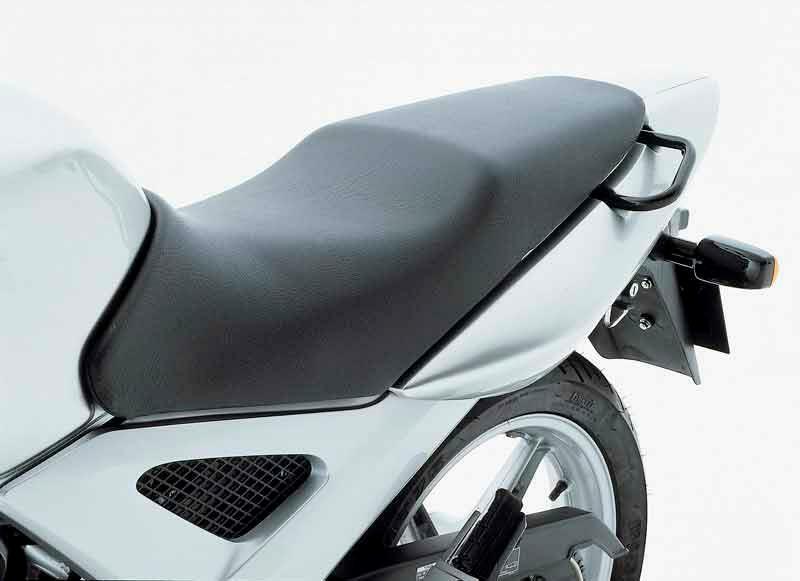 Slim, agile, nippy etc… The Honda CBF250's bar/seat positioning, along with the taut chassis, low weight and sporty geometry make for light handling and good fun. Narrow width makes the Honda CBF250 great for city filtering but it’s more than happy to be thrown around faster roads too, if not at great speed. The brakes are good and gearing’s slick and precise. 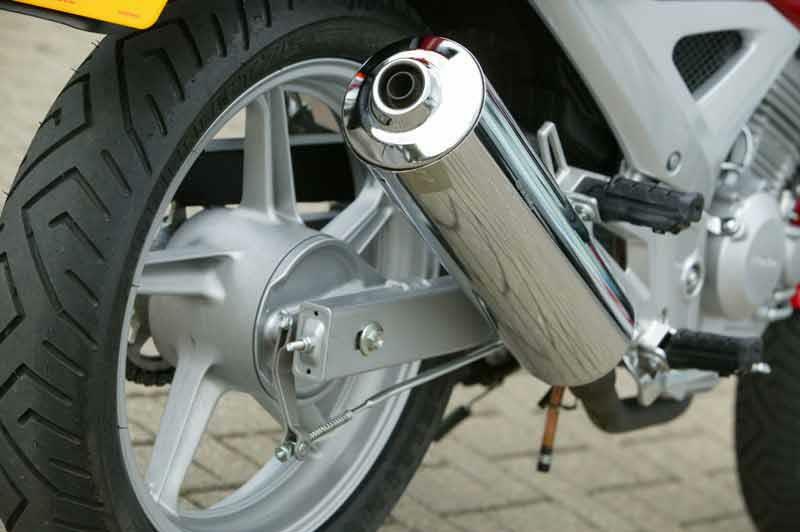 The Honda CBF250's engine uses its 249ccs wisely with an easily accessible powerband, just where you want it. It’s a revvy and fun motorcycle to ride but has enough balls to get you out of trouble; just don’t try any heroic overtakes. 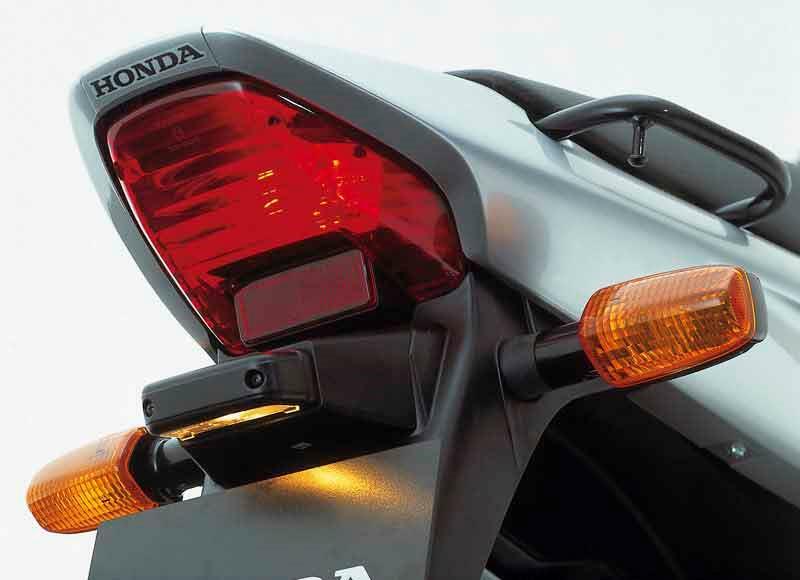 The Honda CBF250 has very smooth delivery and it’ll cruise happily at up to 65mph; beyond that, you’re pushing it. 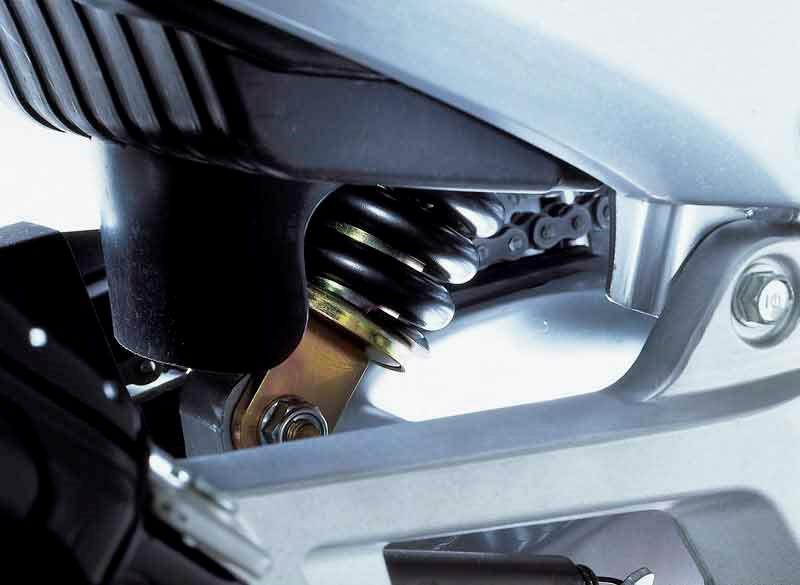 Mechanically, the under-stressed four-stroke single throws up few major concerns with its chassis or cycle parts. Instead, seeing as the little, Brazilian-built Honda is invariably used as a year-round commuting workshorse, it's all about condition. If they're regularly cleaned and maintained properly, again, there should be few concerns. You should check carefully, however, for corrosion, poor maintenance (such as worn brakes) and crash damage. They're incredibly affordable. At around £1800, a good one is significantly cheaper than either of its newer rivals from Yamaha and Suzuki – yet with no real difference in performance. If it suits your lifestyle, a CBF can have you laughing all the way to the bank. 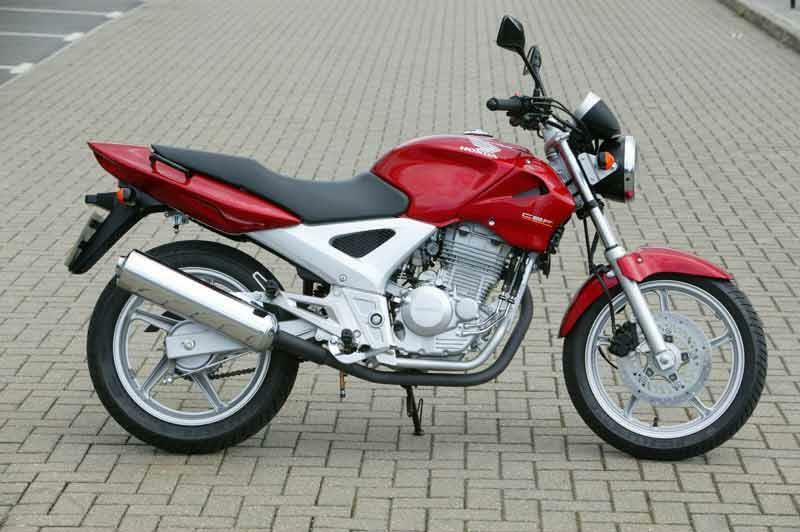 Find a Honda CBF250 for sale. 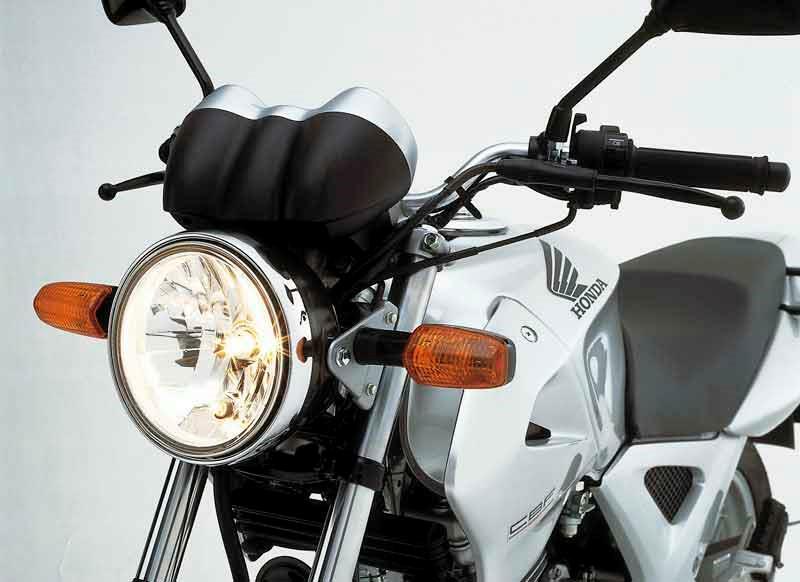 The Honda CBF250's “back to basics” styling works wonders: unpretentious but modern and pretty. 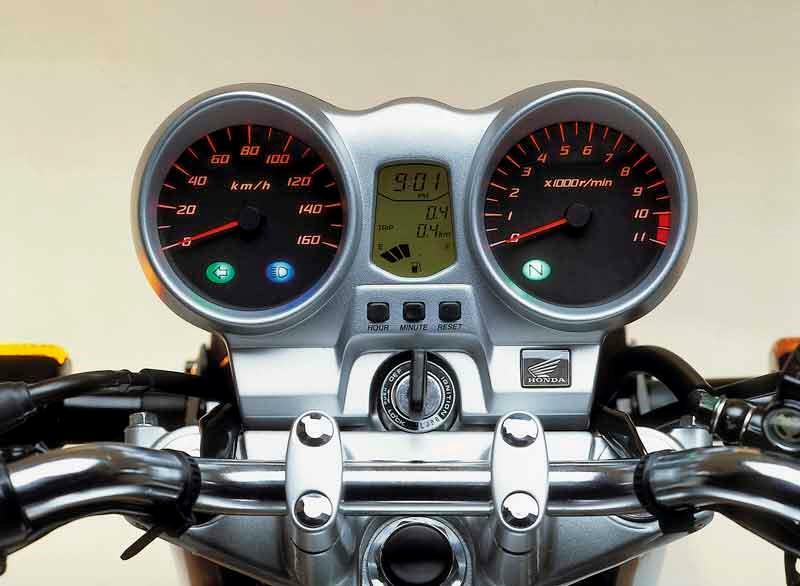 The mirrors work well and the seat’s comfy whilst there’s been no skimping on the clocks: the Honda CBF250's clear dash has two large electronic dials (revs and speedo) with a digital readout for the clock, fuel gauge etc. Centrestand, flyscreen and luggage are optional extras. 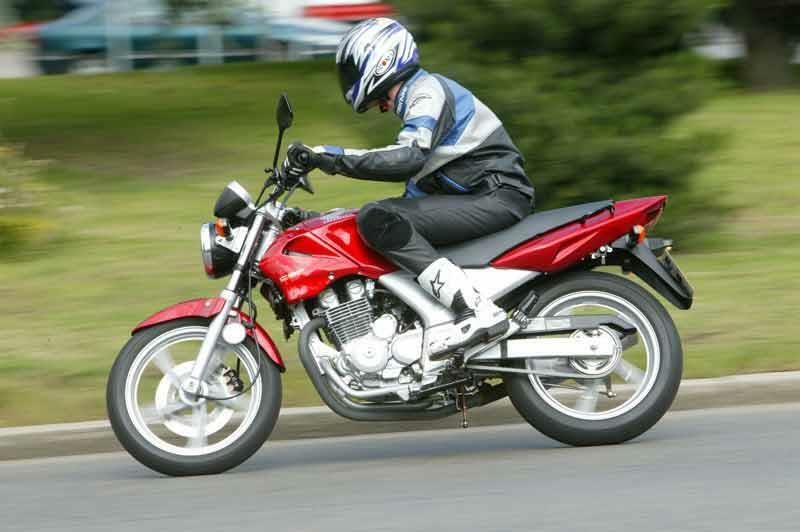 2004: Honda CBF250 introduced, taking over from Honda’s twin cylinder CB Two Fifty. 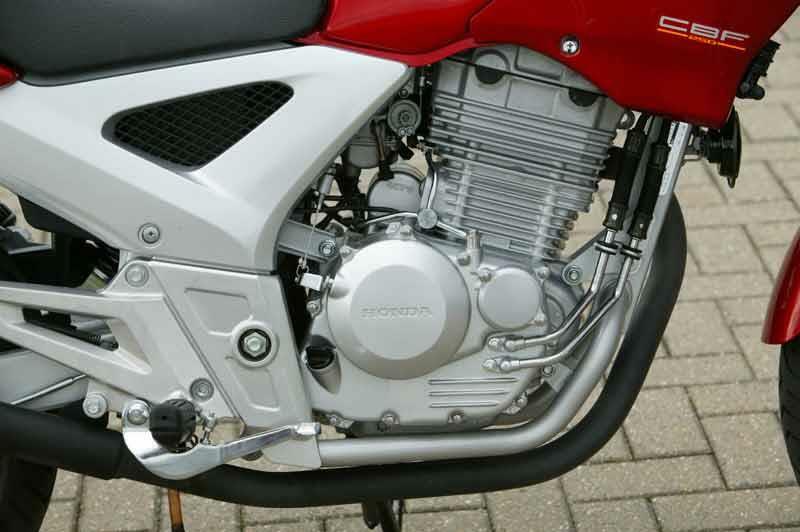 2006: Minor exhaust system modifications plus minor redesign of the shrouds around the fuel tank. 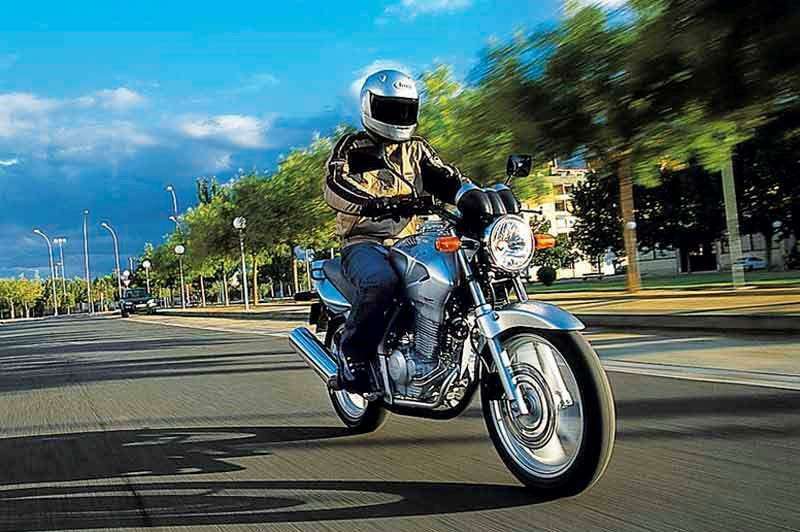 9 owners have reviewed their HONDA CBF250 (2004-2012) and rated it in a number of areas. Read what they have to say and what they like and dislike about the bike below. A good bit of fun or secondary transport...nothing too serious! Excellent build quality, cheap parts and legendary reliability. The letdowns are the lack of adjustment for the gear selector and the non-adjustable rear monoshock. They are both totally fine for use but I like to tweak things... 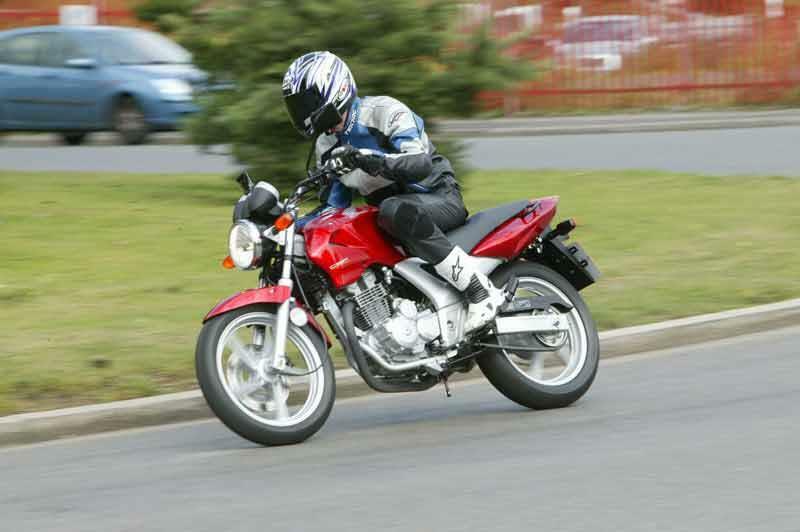 Being a 250cc it is excellent for around-town use and it will hold 70mph on the motorway at (a somewhat high) 7800rpm. 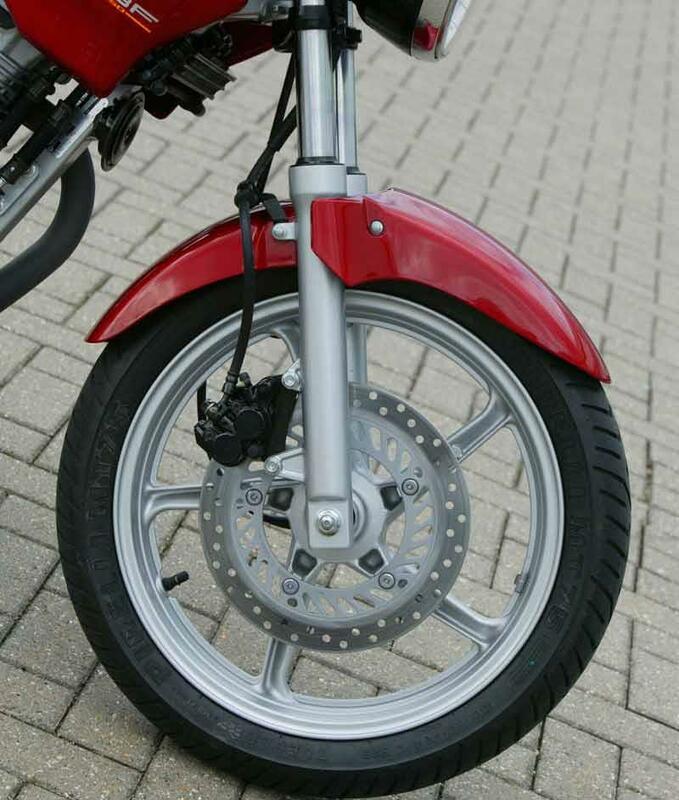 As a stepping stone on the way to larger bikes its good - the weight and dimensions are only slightly higher than a 125cc and the power is almost exactly double a CBF125. Add in the real size tyres and its spot on! Ride quality is good provided its used correctly. 70mph cruises on the motorway are very do-able but not too comfortable. Vibes aren't bad but an hour or so of that and you will feel it. its very nimble. People complain a lot about the brakes but they are more than adequate to lock the front wheel in dry conditions (I know for a fact!) so how much better do they need to be? They are what you expect - good enough! Now that the clutch is sorted the gear change is slick and reassuring (makes a light click so you know it did something) and the seat is comfy. I get sore knees after an hour or so but then I am 6'2" and it is a small-ish bike. I'm biased because I love a single-cylinder engine. This one is a right laugh in town and its best to just pin the throttle and sail away. That's why i got it TBH, because you can just lark about on it and it won't complain. Its more than enough power up to 50mph then it is adequate up to 70. power delivery is firm but not forceful which is ideal for what it is. Very well built all round. Good paintwork and a quality feel to most of the bike. There is a solid feel to the switchgear, clocks and tank and the sprocket carrier looks like its made of real metal rather than the rubbish 125cc's have. I bought mine at 10yrs old and 3000 miles in immaculate condition. Sure, its been well looked after but a few others I saw were clearly abused all year round and had little rust to show for it. Reliability wise It had two issues: one the clutch dragged really badly. the solution was new friction plates (£67 for EBC plates, RHS gasket, hex bolt, two oil hose O-rings, oil filter and oil filter O-ring!). Three mechanics told me it was fine and needed adjustments and oil change etc... did all that and it was just the plates had dried out. Don't listen to them! The other was the clocks re-setting themselves, hard starting and sometimes not starting at all. The solution was a new battery (£45 OEM). Both of these problems are a direct result of being laid up for so long - not really Honda's fault. Honda want £230 for an annual service. That's theft! do the oil ad air yourselves and get a mechanic to check calipers in the spring. Valve clearances (which is easy on this bike!) are £50-70 privately and need checked every 4-6K. A cover gasket is £8 and shims are a couple each so get some feelers and do it yourselves too! Running costs are very cheap. I have 1yr no claims on a full licence and pay £130 insurance. £38 rd tax and 80-90 mpg (I do put the expensive fuel in cause I find on a small carburettor bike it does make a difference). I bought it from a dealer. I took a big risk and bought it from just the pictures but it was absolutely fine. I would recommend that you check the clutch action carefully tho. Price was £1895 which is £200 above the book value for this kind of condition. Transit motorcycles (York) delivered it to me for £100 and were good enough to take my word about the clutch and pay for the parts without checking it over themselves. I bought my CBF250 new in March 2006. Since then I've covered a little over 26000 miles, at an overall average of 94 miles per gallon. A tankful is usually good for over 300 miles. Although generally regarded as a commuter bike it's quite feasible to go any distance on it as long as you're patient. I've had holidays in France, Scotland and the Isle of Man without a moment's trouble. You have to bear in mind it's designed as a city bike when planning overtaking, but the key is in the word 'planning'. Do it carefully and you'll pass all the bigger bikes while they're queuing for their next tankful of fuel. Since fitting a Scottoiler my chains last a bit longer than 6000 miles, which is also the mileage I get from rear tyre. Front tyres last about 13000. I've tried Pirelli (good grip), Continental (longer lasting but not so grippy) and I've currently got a set of Bridgestones fitted. The bike is still on the original battery, disc pads and rear brake linings and the only faults have been a seized ignition lock (replaced under warranty), a snapped speedo cable, and a faulty dipswitch which was successfully cleaned rather than having to be replaced. The headlight is acceptable on main beam but the dipped beam is so poor that you're left wondering where the road is after dipping for oncoming traffic. Brakes are fully up to the performance, but I've fitted a braided hose on the front for extra peace of mind. It's a most forgiving little bike, easy to handle, economical and great fun on B roads. Motorways are not its natural habitat, but even so it'll cope with a steady 70mph in lane 1 away from the faster traffic hogging the centre lane. I ride all year round, and the finish has suffered considerably as a result. Engine case lacquer is bubbling, fastenings have rusted and the exhaust pipe is heavily corroded. The bike is evidently built down to a price and this is evident in the poor quality of the finish and the fact that a centre stand (essential in my opinion) is an optional extra. I had the Honda flyscreen fitted from new but that was a waste of money as it didn't make any difference to the wind pressure at any speed. A larger Givi screen has proven more successful. To Honda's credit, they've done a good job of the instruments, with a clock and fuel gauge incorporated into the dash. Apart from the gripes about the finish I'm delighted with this motorcycle, and if Honda would fit a stainless steel exhaust (and ideally a silencer that made it sound more like a motorbike and less like a washing machine) and use thicker paint it wouldn't be far off perfect for a civilized user-friendly 250. I came to it from a series of bigger bikes, and if you choose you routes it's still possible to have a lot of enjoyment without spending a small fortune on tyres and fuel. Overall, a competent little motorcycle. Stepped up from a honda city fly 125. What a differnce ! Top speed is 85 MPH flat road for me. At 85mph it still isnt at redline, down a slight hill ive had it up to 90mph. Top speed with pillion 75 MPH. It handles very well, it sticks to the road and you can chuck it about. The bike is asbutly incredibly light. Costs about £12 to fill up and lasts many miles indeed. The accerlation is suprisingly quick, very smooth indeed. It may not have an amazing top speed but i think its better than a restricted bigger bike, its so easy to learn on. After riding a moped for a few years, then a CG125, this is my first big bike. I think its a perfect step up from a 125 for riders who are less bothered about speed and posing, and more bothered about ease of use and value. Its great fun in the twistys and commutes with ease. Stood up well to my first winter with it, im expecting many more trouble free miles! having passed my test and being restricted to 33bhp, i decided (partly due to my parents) to step up from a CG125 to a CBF250, i have never had real problems with Honda so it was a logical choice :) it will hold 70 up and down hill on motorway for me, the engine is incredibly quiet until you go above 7000 rpm and then... 'What A Sound!' bought it with 180 miles on the clock for 2,000 and also had the optional center stand and flyscreen so i cannot complain about the value has now been run in by me and is great fun to ride :) i look forward to riding it some more for about another year before i plan to step up to a restricted 33. I love my white CBF250. I took my DA about five months ago but decided on a 250 as it seemed best suited to my learner abilities, my central london commute... but more importantly to appease my parents who are terrified by motorbikes and cannot sleep at night knowing i'm driving one. I took my test on an ER5 but genuinely don't feel underpowered on the CBF250. It is incredibly light, will do 75-80mph, can carry two with ease and looks super trendy in white (although i've never seen another white one... i think the red/blue/silver colours look a bit cheap) It does have a frustrating lack of storage space though, and on occasion i do wish i had a bit more power to play with (i've been eyeing up hornets, MC-03s and GS500Fs) but my insurance is already a complete joke (£500) so i'm happy to stick with what i've got. CBF250s are something of a rarity, but i can genuinely recommend one as i've had absolutely no problems with mine and it's perfect for a city commute.